Choose Your Weapon! Gamer references! YEAH! 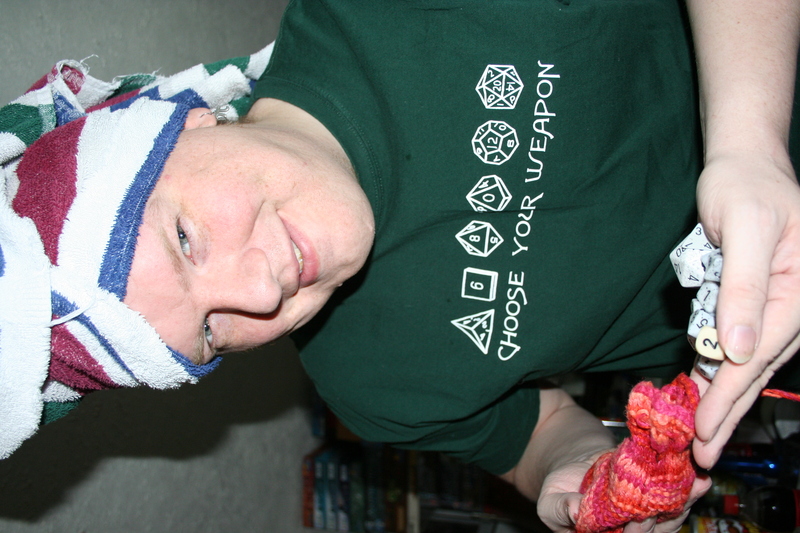 Like that cool dice bag? Cori crocheted it. She made it fFrom nothing!! And why is Skotte wearing a head towel? Because it’s important fFor gamers to bathe and often. The shirt is fFrom J!nx. It’s probably the second most commonly worn shirt we’ve seen on other people, second to the Reflections on Pi Shirt. Possibly. They might be tied fFor popularity, we’re not sure.